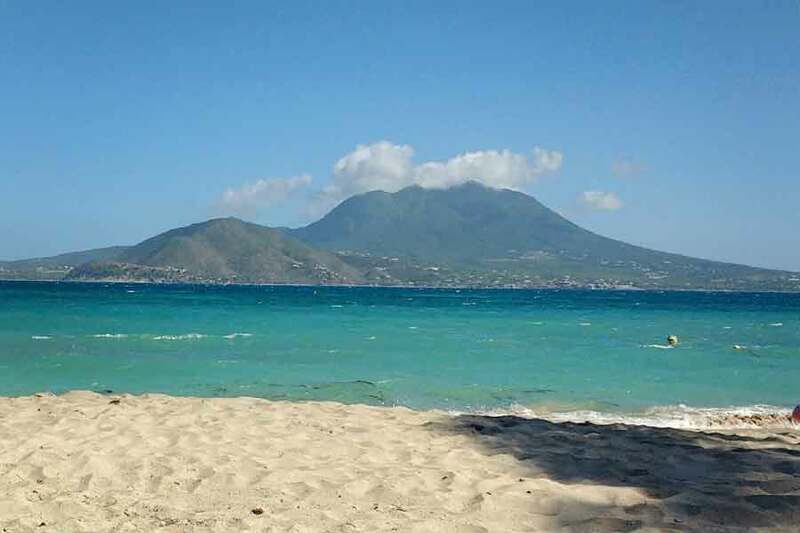 Some fortunate circumstances landed us in St Kitts over spring break this year, and … oh my, that trip was just what I needed after a super busy Valentine’s season. The kiddos and I tried our hands at paragliding. And I snoozed on the sand, soaked in that Caribbean sun, and gazed in awe as the ocean slid from frothy white, to pure turquoise, then give way to deep indigo. And then—foodie alert—there was the food! Each morning, I’d dive into the fruit bar and, whenever I’m given the opportunity, I always go for passion fruit. The tartness that wakes you up, followed by the sweet juice. I mean, it’s the perfect combo. And then add to it the surprise of those crunchy black seeds? Well, put a fork in me, ‘cause I’m d-o-n-e! So although my youngest is back in school, I decided to celebrate that tropical isle of St Kitts by introducing this scrummy Passion Fruit bon bon. 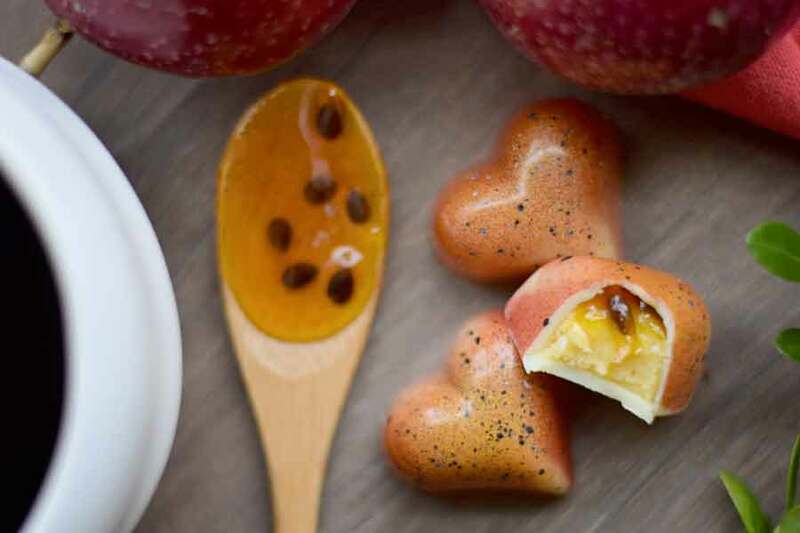 To achieve the perfect blend of sweet and tangy, I made a ganache from passion fruit puree and white chocolate. 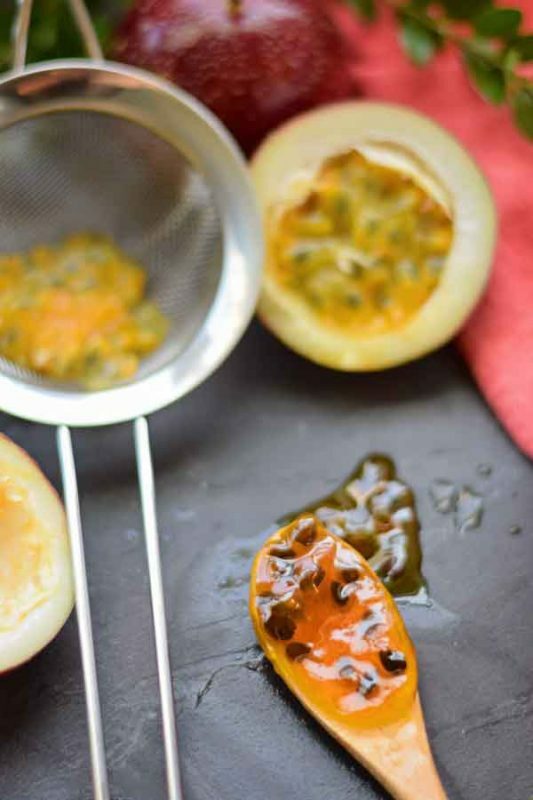 I then top that goodness with bright passion fruit jelly—complete with those signature crunchy black seeds! 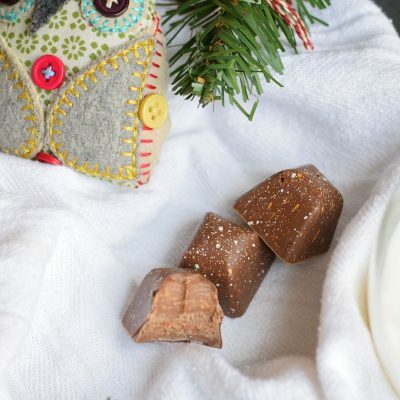 Here’s to sandy beaches, umbrella-laden drinks, and loads of these bon bons! 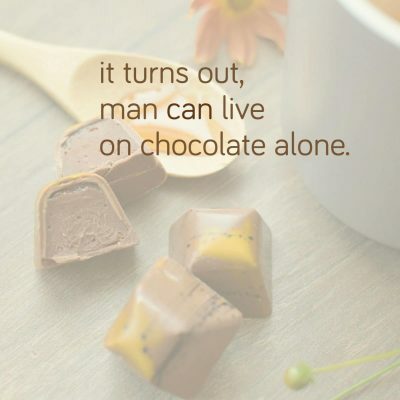 This entry was posted in Chocolatier's Philosophy, Flavor Spotlight and tagged chocolate inspiration, chocolatier, passion fruit, white chocolate.